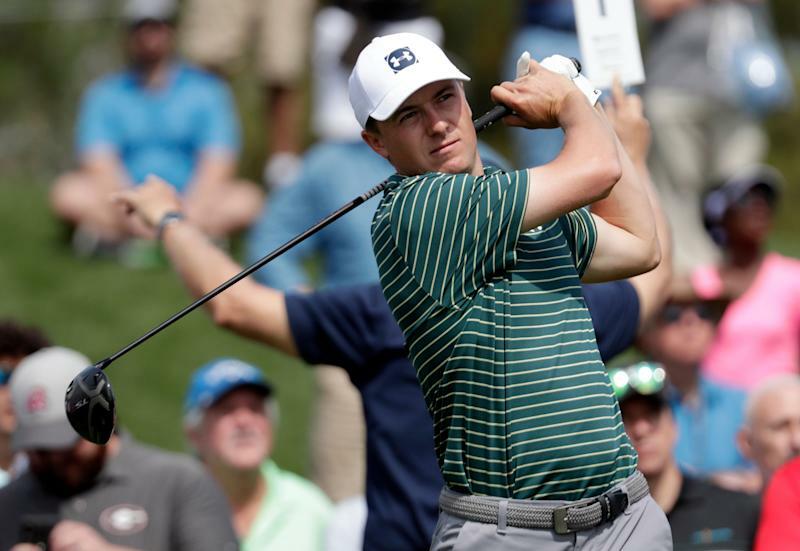 Jordan Spieth may be having some difficulties putting it all together on the course this year, but there is no denying he remains one of the PGA Tour’s biggest and brightest stars. If he were to retire today, Spieth would have a better than decent chance of entering the Hall of Fame. Not many golfers can say that... even ones in their late 40s. Only 25 years old, Spieth has hauled in $38.2 million in career earnings on the tour. Spieth’s resumé boasts a total of 13 tour wins, including three major championships: Masters, U.S. Open and The Open Championship. The impressive start to his golf career has attracted several top sponsors that see in Spieth a version of legend Arnold Palmer — a man of the people. Spieth’s sponsorship deals range from Coca-Cola, AT&T to Under Armour and even Warren Buffett-owned NetJets. In the process, the Texas-born Spieth — known for his humbleness and chatty style with his caddy on the course — has amassed 3.5 million combined Twitter and Instagram followers. Now that is influencer status. With all the fanfare and accolades, it would be easy for most folks to lose focus and revel in the glory. That’s exactly what Spieth said he doesn’t do as he keeps his sights set on decades more of winning on tour. This writer can attest to Spieth’s outsized hunger to win more just by sitting next to him for an interview. Having patience and keeping the big picture in mind is key to winning on the course and in business, Spieth told Yahoo Finance. Spieth said it’s easy for people to fall into the trap of celebrating the “ego driven benefits of success.” But in the end, it’s best not to complicate things and to stay hungry. Now go close that big deal in the boardroom, sport. And after that, watch Spieth tee it up at the Augusta National in April in a bid to win a second green jacket.